US Airways coverage was intiated at neutral by Calyon Securites. This was in spite of the companies estimate that the stock is selling at 4 times 2007 earnings. If these guys are correct about the earnings, then the stock should double within a couple of years. The symbol, LCC, is an acronym for Low Cost Carrier; great call! The AWA management did a good job of operating AWA as a low cost carrier. Naming the stock LCC is a good indication of their focus. Pundits are constantly on TV saying that the airline business is a lousey business. They do not understand. Any business that is built behind "monopoly" walls before being exposed to the "free" market is going to struggle for a while. One reason the pundits claim the business is bad is because entry is easy. The facts do not support this contention. The overwhelming majority of the new carriers have been pummeled out of business. Most of the new entrants came in during a time when existing carriers had extremely high employee costs. While LCC does not have these costs, it does own landing slots, code sharing agreements and other means to compete fearcely with all comers. Matt Percy in his blog Changing Airline Business Models agrees that smart strategic planning can provide some templates for sustainable future growth in the industry. The price of fuel is a lead weight on each carrier and thus not a long-term problem. If the price of fuel stays high, the price will be built into the ticket price; if the price of fuel comes down, the carriers will receive a windfall profit. Despite the whining of the Senator from North Dakota, there is not a chance the Republican congress will make the silly mistake of passing another windfall profit tax. My forcast for oil is $54 by June 1 of 2006. Solid profits will be made by LCC at $54 oil. BCA Research put out a sell recommendation on crude oil yesterday. The posted chart shows the spike in oil prices and the extremely high bullish sentiment. The story is an old one, if everyone else is buying, you want to be selling. The BCA article suggests that consumer spending is set to drop. As another piece of annecdotal evidence, I just received a call from a time share owner who wants to rent next week at Myrtle Beach. Consumers are changing their plans. More will stay home rather than pay $3 per gallon. December gas futures are trading 20 cents lower than November futures. The market anticipates that refineries will be catching up by December. January and February gasoline demand is low. Normal spreads between crude and gas will prevail by January. A fuel cell that last more than 4,000 hours! Progress is being made. Years ago, no one would have been willing to pay $60 for a lap top battery. The market is now ripe. The costs have come down and will continue to come down. With mass production, the costs will be very competitive in a few years. The future is one where nuclear power plants charge all kinds of batteries and fuel cells. Oil and gas prices are volatile today. Given time, the market will find the way to replace high priced oil. Should one plot the historical performance of the stock market, the last quarter is the strongest quarter of the year. Wow! The strongest quarter is the weakest quarter for oil stocks. As I wrote the other day, the Rydex allocations show aggressive investors have dramatically over-weighted oil stocks. This information is good information for the contrarian investment approach that I use. In other words, if the crowd has piled into one area, I go the other way. CAL is a hated stock in a hated group. However, this well run airline will make 30 cents per share next year for each $1 drop in the price of oil. Now, if you believe the price of jet fuel is going to stay at the currently artificially high rates as caused by the hurricanes, then you should avoid this stock. On the other hand, if you believe oil prices will decline to the mid 50's as I do, then this company is likely to make $3 per share next year; making for a lot of upside. It is interesting to note that Saudi Arabia has excess heavy crude oil available right now. At the same time, Libyan production of sweet oil is expanding fire the first time in 20 years. Who wants to build an expensive refinery to process heavy crude when Libya and Iraq may be sending 5 more million barrels of sweet oil to the market? Right now, the gap between perception and reality is very large. Futures markets bet that oil is near the peak. The public is down and out as is shown in various surveys of consumer sentiment. However, businesses are sitting on piles of cash. Companies are optimistic. They are ready to buy back stock, raise dividends or buy other companies. The pace of merger and acquisitions remains strong. This morning, it was announced that Etrade will buy Brownco from JPM. The price; 1.6 Billion. Individual Stocks continue to outperform equal investments in the S & P 500 (1.95%)and the TLT Treasury Bond index (-.39%). Be sure to check out other Stocks of the Week to see if it's a pick to include in your portfolio. Past performance does not guarantee future performance. We make no recommendations! Another great post from Keven Werbach. The key insight is that voice does not equal phone call and video does not equal TV. According to Satelite TV Verizon (VZ) joined others last week when it started selling it's internet TV service. TVOver.net discusses how lucrative the IPTV market will be. When millions of high school football games and millions of other videos are posted on the internet--perhaps from the view point of both schools or from several parents--the total viewing of video may be more than the total viewing of network TV. It took many years for total cable viewing to pass total network viewing. The adoption rate for "free IPTV" should be very fast once it gets underway. Wow! Jon Leibowitz, FTC commissioner, supports city wide WIFI. It only takes two votes out of three! Right now, VZ and other phone companies are trying to get TV franchise rights. Cities that have free WIFI are enjoying significant commercial growth. America has outgrown franchised cable service. Free enterprise demands an end to taxing citizens through monopoly service grants. Citizens in 10 years will wonder how they ever did without wireless broadband. The cost per citizen is negligible. Ron Crumbaker at myitforum.com highlights the importance of google as a WIFI player. "More proof that Google is gearing up for a serious deployment in WIFI comes with the release of the Google Secure Access client. Google Secure Access is a downloadable client application that allows users to establish a more secure WiFi connection"
Good post from Keven Werbach! AWA (American West Airlines) moved up better than 5% today in the face of Rita. I attribute the move to the linked Wall Street Journal article (subscription required). The article spoke about cut backs to USAir amenities but the real key was the hint that NWAC and DAL will have to cut back routes as these companies have little else left to cut. AWA has a number of competing routes with NWAC and USAir competes with DAL on the east coast. Any carrier with excess capacity on any route will consider trying to fill the abandoned routes. The interesting thing is that carriers in general have very little excess capacity. Load factors are the highest in the history of the industry. I must give my son-in-law and daughter brownie points for tenacity. They purchased additional shares of AWA this morning. I appreciate their confidence in my analysis. It is really a simple story; at some point a declining industry reaches what is referred to as the clearing price. At the clearing price, only the foolish want to enter the business and many of the weaker players get cleared out. The remaining players are in the position of being the only option available. Futures contracts on the Chicago Board of Trade, show that investors are now betting on a 4% short rate by March of 2006. This is down from an implied yield of 4.125% prior to Katrina. Having lived through the 1970's, I hope the FOMC does not err on the side of restraint. The situation is different but that sort of thinking can get one in big trouble. The big problem in the 70's was the politicians tried to manipulate the markets. They thought jaw boning and price controls were powerful enough to control the markets. They were wrong. Right now there are many hair-brained ideas being floated. Typically they are ideas to gain favor from voters rather than ideas to solve problems. For example, the French are jaw boning and threatening price controls. The French simple do not understand that free markets work. Some American politicians are just as bad. One proposal is to suspend the gasoline tax! What? The problem is demand increasing faster than supply and we want to lower the price even more? The problem is that roads have been destroyed and money is needed to rebuild and we want to lower the gasoline tax? Generally it is best for governments to avoid direct involvement in markets.Noting that the government has never been very good at developing new technologies in response to consumer demand Mike atThe Infieldcomments that "private" and "market" are always better than "Government" and "public" Big mistakes can be made by any market but government involvement typically makes mistakes bigger. The FOMC does have the difficult task of manipulating the short-term funds rate. According to the CBOT, figures, the betting by professional futures traders is that the FOMC has another quarter point move to make. I can only hope that another quarter point is enough. The race the economy is in is not to get around the track one time at an extremely high speed but to go around the track many times at a high but safe speed. It is depressing to hear Bill O'Rielly fuss about price gouging. I understand that news media folks must be controversial to attract an audience, however, talking about price gouging in this situation is like rubbing salt on wounds. It shows how little Bill O'Rielly and his audience appreciate free enterprise. The reality is that there are many oil companies and the price is competitive. Indeed the price in real terms has been going down for the past 80 years or so. Oil companies are drilling 20 miles deep and supplying oil at a lower price than when the first oil was found at 60 feet deep. It takes a buyer and a seller for price gouging to take place. Folks have memories. If any particular company takes advantage, they will lose a lot of future business. Yes, demand for oil is high. But, forces are at work to add supplies and to reduce usage. The planet earth uses an extremely small percentage of energy that is supplied by the sun. The available supplies have been building for millions of years; they will grow again this year! We continue to make really dumb group decisions, such as tilling up acres and acres of farmland to grow corn for fuel, but the invisible hand of Adam Smith continues to work. The market continues to adjust. Laser technology now makes purification of uranium fuel cost 80% less than the old technology. Nuclear energy is clean. Since the last nuclear plant was built in the US, coal plants have been built that burn 400 million tons of coal each year. We are too smart a people to damage our environment this way. We have to get away from group thinking. Markets work but we must allow them to work. One company is currently bidding over $40 a barrel for proved reserves. This is oil in the ground. This company is making a huge bet that the price of oil will stay about $65 per barrel for many years to come. If the price of oil drops back to $50 making this purchase unprofitable, Bill O'Riellywill not be crying the blues for the poor stock holders that just lost millions. The ABC News/Washington post comfort index appears to be headed to levels normally only seen during recessions. The price of oil has clearly hurt the confidence of consumers. This is the kind of bad news that stock market investors love. It sounds greedy and cruel. The point is not to revel in the pain of others but to get prepared for the launch that typically occurs at the bottom of these cycles. The problem for now is that the levels of despair are higher than what occurred during the 2001 recession but not nearly as high as those seen during the 90-91 recession. Stay tuned! One of the services to which I subscribe is Morningstar. The stock screening tools are pretty decent and I like to use the comparison tools. I find that if Morningstar. recommends a stock, it might be pretty dull but a pretty decent value. Last week the company. added three more stocks to its 5 star list. Gannett (GCI), Pier I Imports (PIR) and Sanmina-SCI (SANM). I think (GCI) is the most interesting pick. In an age when EBAY, Craig's List, Google and others are taking away a big chunk of advertising business from the newspapers, these old powerful companies have strong cash flows and solid balance sheets. I know a lot of folks who just cannot bring themselves to pay $300 for shares of Google. I think this is a mistake but those who want to own a solid company should consider Gannett. I believe the risk in Gannett is lower than the risk in companies such as SBC. The phone companies have the same problem (that technology has destroyed the old way) but the phone companies are spending billions to become cable TV, ISP, phone companies. Google. is building a competing network and is pricing its products based on the future costs of storage and transmission, which is expected to approach zero! SBC and VZ currently are paid billions to transmit data. If the cost approaches zero, how much will these firms be able to charge? Google. will collect revenues for matching vendors and customers. Google. is willing to send a person a half hour TV show in exchange for a relatively small amount of advertising space. Without looking it up, I suspect < Morningstar is a good place to find information but the reality is that no one knows who is going to win the "net" race. John Battelle writes in "The Search" that the product life cycle of search is in the first 5% stage. Search is going to improve dramatically. Consumers will be the big winners. Consumers will read and view what is interesting to them. Instead of reading about the local high school game in the newspaper, interested folks will watch the game on IPTV. In five years, Google. earnings have grown something like 47,000 percent. All investors must think twice before buying a stock selling at $300 per share and at a PE ratio of 70 times. On the other hand, all investors should think twice before passing up the chance to own shares in a company that can send you audio, video and unlimited text for free. The good folks over at Hays Advisory (subscription required) recomend long term investors should be 90% invested in stocks. The firm sees reasons to be cautious for the next month or two but cheap valuations keep them virtually "all-in". The firm post an excellent series of indicators in chart form. These are not your fly by night charts showing flags or heads and shoulders. The charts include psychological indicators, monetary indicators and valuation indicators. I tend to agree with about 95% of what I read on the site . Thus I give the company my strongest recommendation. The one area of disagreement: I believe the FOMC is correct in moving up short rates the 25 basis points today and I am not opposed to another 25 to 50 points if the FOMC feels the need. I remember too well the mistakes made in the mid 70's. In those years, the Fed fell behind the interest rate curve and only caught up around 1981 by pushing short rates up to 21%. It seems to me that too much focus is put on short term considerations. I believe it is a tricky thing to know when to put on the brakes to a moving economy. As a general rule, the FOMC needs to start touching the brakes long before the economy is moving too fast and it needs to pour on the gas long before the economy slows to a crawl. The inflationary risks have been foretold by the run up in the price of gold after Katrina hit. If short rates were too high gold would not be zooming. 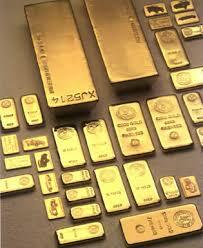 We all should keep in mind that when the value of gold goes up, the value of our paper currency goes down. When the price of gold goes up, you can bet on the price of other commodities to follow as they must be purchased in paper dollars. From memory, I believe the price of the Hays Advisory service is around $250 per year. I spend a few thousand per year for access to data and reputable opinions. I can't share too much info from these sources and no one can call short term market moves consistently. However, again, I believe Hays Advisory has it right to be in stocks for the long haul. I conceed to the knowledgable bears that historical returns while starting at PE ratios greater than 15 have been weak. However, the waves of technological innovation and open markets continue to keep inflation at historicly low levels. The FOMC has shown deternination to not let inflation get out of control. Stocks generally do very well during periods of moderate to low inflation! Here is a good chart of consumer confidence. The data was gathered from the St. Louis--FRED database by the good folks at Econobrowser. Note that consumer sentiment has dropped enough to bring on a recession. I do not believe a recession is in the cards but the talk of one could drive ten year rates down enough to kick stocks into high gear. T. Blummer with BizyBlog comments this is a media driven blog and quotes 15 reasonswhy we're in a boom market. Put another way, investors who loaded up on stocks everytime this index crashed did very well. The most recent example being the wonderful market enjoyed after the declines in October of 2002 and in March of 2003. Clearly when sentiment was high in 2000, one should have avoided stocks. For now be careful not to miss the great side of the market the media is trying so hard to destroy. Follow the trail from Om Malik to Google Rumors and a couple of more sites and you learn that GoogleNet is being built for peanuts. Google does not have the last mile covered but hear again there is news. Googlehas done some work on WIFI software. In The Search by John Battelle, the grocery store illustration is neat. I like the concept of a built in bar code reader on your hand held "Googler". It is also neat to realize that stores who put their inventory on the net will have an advantage over those that don't. Eventually, ones Googler will calculate the cost of your groceries at your favorite store to be $155, the cost at your next favorite store to be $160 but the cost if you buy the lowest price at the two stores to be $153. If the wine is $30 at one store, scan it, check other local prices and reserve the purchase before putting the $30 bottle back on the shelf. Of course, Googler would be willing to display some other wines offered by competitors. It is interesting that the GoogleNet can be completed very quickly. It took years for cell networks to be built. Google is building a very robust system and is finding lots of dark cable available. Google will have a huge advantage if it cost it almost nothing to move traffic. One must wonder if T-Mobile might be purchased by Google. It seems clear that it needs plenty of hot spots. On the other hand, every store in the country would sign up to be a hot spot if Google can send the stores customers complete information about what goods are in stock and the price. So many of the things that were tried during the first wave of the internet may be doable now: that is as soon as the GoogleNet is in place! A good proxy for future inflation is the spread between the 10 year Treasury and the 10 year Tip rate. The FOMC was surely aware of the rising spread of the last couple of months when they raised short rates today. Investors should always keep in mind that stocks do well during periods of moderate to low inflation. The FOMC is doing a good job of tapping the economic brakes. Folks are wondering when the stock market is going to break out to new highs. The answer is when it becomes clear that the FOMC has made a smooth transition. During the recovery, the FOMC had to push the economy hard to get it over the top of the hill. Now the FOMC must apply the brakes hard enough to make navigating the sharpe curves possible. The ride for the next four or five years will be a lot of fun if we know the driver has this vehicle traveling at a safe speed. Kevin Werbach makes several good points in regard to the EBAY SKYPE match up. One is that there really was no more logical match-up as Yahoo, Google and MSFT are in position to start their own VoIP service. The phone companies would have bought it only to kill it. Another point is the "power of three". PayPal is the perfect go between to help build-out Skype. For Skype to receive payment of relatively small amounts many millions of times, the PayPal service should work well. EBAY will give Skype. much exposure and the means to gain share in America. It is especially attractive for "free classified" advertising. As a small businessman, I appreciate the idea of free classified advertising except for a payment for each response. Kevin has also posted an excellent article about the "new internet". The winning model is still in question. AOL has moved in the direction of Google but then might make a deal with MSFT. Will we end up with 6 major "channels" or with wide open availability of content with payment for individual access? The long tailed bell curve comes into play. It is clear that Google and Yahoo intend to offer millions of video clips. Most of these should be available in exchange for a relatively small amount of advertising space. Obviously, TWX. and others are going to hold new content pretty close. Just call me Papaw Miller. My oldest daughter Courtney and my "favorite son-in-law", Jonathan Tucker are expecting the arrival of a child around March 23, 2006. When I was a child, I had a Papaw Miller and a Papaw Reavis. I will take any name this child gives me but, for now, I think of myself as Papaw Miller. I have already spent an hour in Babies-R-Us. The technology of using a hand held bar-code reader to register for gifts is fascinating. (My girls ask me where I have been.) I am usually aware of trends early in the cycle but obviously I do not do a lot of shopping. By the way, I plan to write about posting your grocery list to your Google Sidebar. The Google Sidebar is just another revolutionary tool Google is using to take over the internet. Stay tuned! Add this little one and family to your own prayer list for me. God is good, all the time. Like the mythological Phoenix that rises out of the ashes, the legacy airlines are ready to rise. Obviously, AMR and CAL are the strong players here. UAL has been poorly managed for a long time; even after its rise from bankruptcy, it may have problems. DAL, NWAC, and USAir (purchased by AWA) have and will cut costs during bankruptcy and will live again. When airline deregulation took effect in 1979, the door was opened for start-ups to jump right into the fray. Most did not last very long. There are certainly notable exceptions but the small carrier is up against powerful forces. 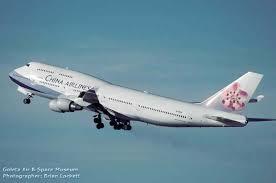 The legacy carriers own the prime landing gates, they connect to all the major cities, they offer international flights and bonus free miles and extra discounts on competitive flights. The following points were made by Morningstar: CAL increased sales by $1 Billion Dollars from 1999 to 2004. AMR and CAL continue to cut costs with the latest quarter showing reductions of 4.3% and 5.4% respectively. Morningstar asks the question, "Can you imagine flying from Chicago to London on Southwest with your spouse sitting 15 rows behind you?" Morningstar does not recommend airline stocks. I suppose one could say ownership of airlines is just too scary. This airlines supports $22 of debt for each dollar of equity! Even though CAL has dramatically cut costs it continues to battle extraordinarily high fuel costs like the other carriers. Under the circumstances, the company made a profit last quarter but will likely fall back into the red this quarter. Cash flow is better than profits but with huge net loss carry forwards, the company will not show taxable profits for many years to come (this is a good thing). Standard and Poors rates the company a STRONG BUY. The Standard and Poors investable quotient is 96%! The stock is technically weak. Relative strength is rock bottom. Keeping with my belief that the best buys are made on bad news, my family sold shares in Sprint (S) today and purchased shares in CAL. It is hard to let go of a 800% winner! However, like my great grandpa said, "The best time to get into the chicken business is when everyone else is getting out". EBAY, GOOGLE, MSFT, Time Warner, Comcast, Vonage, ESPN, Disney, and many more companies are getting into the phone business. Competition is going to be brutal. These many players are going to fight SBC, VZ and other established phone companies for market share. Profits are going to be hard to come buy for a number of years. EBAY, and GOOGLE, will likely offer free calls in exchange for lead generation fees. On the other hand, the pace of new airline start-ups has dropped. Many have tried, a few have succeeded and available venture capital is largely gone. Grandpa always liked the idea that not only did the price of chickens go up but the price of chicken feed went down. The airlines continue to dramatically lower costs. More importantly, the average fare is now going up! Planes are flying near capacity. Business is expanding world wide. The tiny discount tourist seats are giving way to business class seats. First class cabins are being expanded. Consumers of high definition TV are seeing the beauty of the earth and are excited about seeing the world. I am willing to make a wager that fuel prices are substantially lower within two years. I would not want to bet on fuel prices in six months or a year but give me three years and I will make it a substantial bet. Drop the price of fuel to the surviving carriers and you will see substantial profits drop to the bottom line. You will see the Phoenix rise up out of the ashes! EBAY's market value has dropped about 5 Billion since the deal was announced. A 2.6 to 4 Billion Dollar purchase. When the major internet players crank up all the coming VoIP offerings, it may be time to say good bye to the phone companies! Investors may like the SBC yield but they cannot like the projected growth rate. Texas Instruments is selling Digital Signal Processor solutions like hot cakes. Broadcom is also selling IP phone products quickly. VoIP is gathering steam. It will save consumers and businesses billions of dollars annually. Investors in TXN should continue to do well. 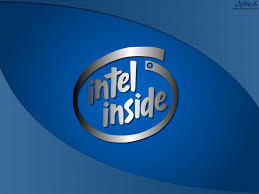 Intel continues to move further into the expansion phase. The company is investing $3 Billion in a new wafer plant and another $345 million to expand existing plants. The additional capacity will be used to manufacture a variety of logic products, including chipsets to support Intel's platform initiatives for mobile, desktop and server systems. This investment will result in the creation more than 300 new manufacturing jobs. Technology investors should note the growth stage has been set. Scooter sales doubled in 4 years to reach 86,000 units last year. Based on the number I have seen on the roads in the past few days, I believe sales must be set to double again this year. Scooters typically get 50 to 80 miles per gallon. The small ones are treated as bicycles, requiring no license to drive. Riders should be extra careful as scooters and SUV's do not mix well. I don't plan to buy a scooter but it is nice to see the market adjusting quickly to the high price of fuel. This winter will be a tough for those in the north who heat with fuel oil or natural gas. There will be more snow birds taking flight than usual. The American investor has "hunkered down". Investors hold 5.3 Trillion Dollars in low paying savings and money market accounts. The latest numbers show that consumers are "hunkering down" for a long cold winter. It seems the inflationary aspects of fuel costs are being trumped by confidence ratios. Ten Year Bond rates may fall below 4% soon. When stocks break out of a 22 month consolidation, the break out will be very strong. China plans to build 30 nuclear reactors over the next 15 years; small potatoes relative to the countries total energy needs. China's current nuclear plants generate 2.3% of the nations total. By 2020, nuclear will provide about 4%. The good news is that 24 nuclear plants are currently under construction around the world. The price of energy like all other prices are set at the margin. Prices of energy will only come down when supply increases relative to demand. The moves by Indonesia, India and other populous countries to lower demand are also good news. None of us can know when supplies will start to increase relative to demand, but we do know that the price has been high enough long enough. The high prices have increased investment in new capacity and high prices have put conservation on the minds of many. Construction on a new nuclear plant was started in Finland today. There was only a mild protest from the "greenies". Many of the "greenies" have come to understand that it requires massive resources of concrete and steel to build wind mills. They have learned that current solar energy technology requires massive areas to gather the "juice" and long distribution lines to take the "juice" to the city. Perhaps, one can say that the "greenies" are accepting the laws of economics. If the protesters will get out of the way, new nuclear power plants will cut the burning of hundreds of millions of tons of coal annually. The planet will be blessed when nuclear energy allows us to stop burning fossil fuels in cars and in electrical plants. If you want to learn about the latest "gadgets", engadget.com is the place to visit. I am studing the gadget world after reading The Search by John Battelle. I see a googler coming. A googler is more than a PDA (Personal Digital Assistant). It is more than a computer; more than a communications device. You will probably wear your googler. The combo speaker, microphone, camera might be cliped to your shirt collar. By making your schedule, contact list, indeed all the information you speak or type, available to Google, your googler will assist you in far more powerful ways than a PDA ever could. It will now where you are and where your schedule says you should be. It will talk to you and you will talk to it. I know. Science fiction has been around for years. The thing is that science fiction is being turned into real products daily; much more to come! Book sales are up! People are finding books on Google and buying hard copies. The National Academies Press has been participating in Google Print and getting great results. Ruffini has put together a great blog. In regard to the "new web" he quotes Ellison and others. The web is changing fast. Improvements will come hard and fast for several years. 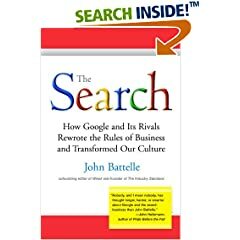 In his new book, The Search, John Battelle reports that search is only about 5% through its product life cycle. In other words, Google is at the same state as Henry Ford in 1909. He had already standardized most parts to a Model T but he had not yet invented the assembly line; much more to come. The blog sites that report on low fares are enjoying the long process of rationalizing the industry. The problem they may not appreciate is that the process is nearing the end. 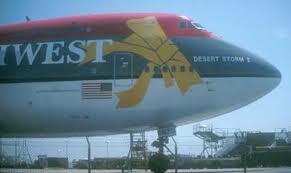 The process started in 1979 when airlines were deregulated. It has been a long process including over 100 bankruptcies. The last two, DAL and NWAC will cut capacity on the margins and the days of super low fares will end. Don't get me wrong, the technology of finding the best price through the internet has forever changed the way the business works. However, the legacy carriers have finally reduced their costs to the point that they can compete toe to toe with the LUV's of the world. Suddenly, the hub systems will have value again. Carriers are increasing seat sizes and expanding first class capacity. The low cost seats are going to be harder to find. After massive losses, CAL and AMR will lead the way with higher revenues and much improved margins. Todays, move in the oil market was pretty amazing. An increase of $4 a barrel for a storm that is far from land. The market is jittery and tight. Just remember, the law of supply and demand works. Higher prices will lead to more supply. I see major trends taking shape. The majority of Americans will support the development of off shore oil, Alaskan oil, Rocky Mountain oil and natural gas. The majority of Americans will support the buidling of LNG terminals and Nuclear Power Plants. Electrical power will continue to grow as the source of more and more of our energy supply. The hybid car is not a trend but is the transition to a clean burning hydrogen electric car. Travel to far off places will continue to grow as people see the beauty of the earth on high deffinition screens. International commerce will expand as emerging world economies continue to grow. International flights will be very common. Google Blog Search reviews are mostly positive. I have enjoyed using the search engine to quickly expand my universe of blogs read. My interest are broad. It is nice that my Google Sidebar is capturing my interest and sending me automatic feeds. Clean coal is still expensive. Investors should not count on coal gasification to be common until the price of crude goes higher. In reviewing several web sites devoted to hybrid cars, I found Future Cars and Hybrid Cars to be great sources of information. With the laser is cutting the costs of Nuclear Fuel, the concept of charging hybrid car batteries at night with cheap grid energy is compelling. Evenutally, the hydrogen fuel cell may replace the batteries but lithium ion batteries are improving rapidly. The Toyota Concept Car CS&S hybrid is cool. I'll add an image and a link tomorrow. Auto Blog reports that Toyota has goals of 400,000 hybrids in 2006 and 1,000,000 by 2010. The company expects to build to 100% but of course ramping up will take a few more years. The next goal is to reduce the price premium over gas to about $2,500. Hybrid Cars Blog. 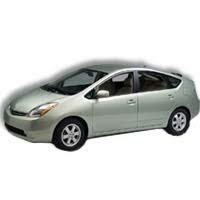 Everything about hybrid cars, trucks, SUVs and other hybrid vehicles including plug-in hybrids. As reported at Hybrid Cars, Consumer Reports demonstrates that car mileage numbers are often off the mark. Still Hybrid's are making sense for those who drive more than average miles per year. As component costs come down, the savings will be large. Hybrid Cars rates Prius and Honda at the top. Mercedes has come up with yet another configuation of the hybrid engine. This one has the electric motor incorporated in the drive train. The techonogy makes this the cleanest diesel to date. Last week John Battelle noted Yahoo is now offering an instant search button that allows users to get their questions answered quickly. According to Battelle the instant Search immediately displays the most relevant result for the most popular queries directly beneath the search box. Find out more with additional links from his blog. SCHWAB, AMTD, ET, OR A CALL CENTER? Morgan Stanley has joined Merrill in packing up the little guys accounts and sending them to a call center. Only the wealthy can talk to a "real" broker. The approach is understandable. Highly commissioned brokers need to deal with big accounts to make a living for themselves and for the firm. Never-the-less, the "little guys" feel dumped upon. Why deal with a "clerk" at a call center and pay more than the online costs to trade with SCH, AMTD or ET. When the market breaks out of the long trading range, the trades per day for discounters should go out the roof. These stocks have done well but in the same way that it is foolish to pay for long-distance calls today, it is foolish to pay for full service brokerage services. AMTD is still my favorite but ETis not far behind. These are not cheap stocks but the growth is excellent. Fellow blogger David Jackson's on InternetStockblog.com agrees that Ameritrade’s merger with TD Waterhouse might strengthen competition (particularly price competition) in the middle segment of the market with the outcome being beneficial to Schwab as well. Check it out. Good article. Google again puts out a superior product. I have played around with blogsearch.google.com and am pleased to find timely info. I have already seen a change in my Google Sidebar. It already feeds blogs that are relevant to my searches. I look forward to Google Finance. Portfolios in my sidebar will be constantly updated with news, price, charts and all right at the one click level. Although I'm a big fan of Yahoo, Fellow blogger David Jackson in his blog Internet Stock blog highlights how Google is passing Yahoo in his blog Google is still Outgrowing Yahoo"
It is interesting that while the Toyota Chairman talks about making all hybrid cars, the European makers such as BMW talk about hybrids maybe winning 3.5% of the market someday. Europeans believe in the efficiency of the diesel engine. Evenutally, when the auto is powered primarily or even 100% by grid electricity, the efficiency of the large scale power plant relative to a small diesel engine will win every time. Unfortunately, according to Hybridcarblog.com there simply are not enough hybrid components to make enough hybrid vehicles to meet hybrid demand. FLuctuating oil prices are driving the consumer choices. Anyone making parts for these vehicles will be a part of the bull. Jump on for the ride. Relentlessly Optimistic is an excellent web site. However, I just posted a long disagreement in regard to electricity and nuclear power. The fact that many folks miss is that we continue to use more and more electricity because it is relatively efficient. We continue to buy more efficient appliances but my electric toothbrush uses more electricity than hand brushing ever did. My TV uses more than my radio. Nuclear power is the safe, clean and economical. Since we stopped building nuclear power plants, the US has built coal plants that burn 400 million extra pounds of coal. Good Blog but wrong conclusions! Supporters on nuclear energy come in all colors and stripes. JLK is a patent attorney. He makes sound arguments in support of President Bush's 2010 nuclear power initiative. 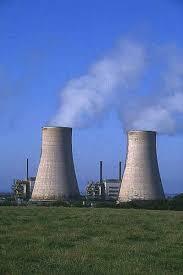 Two more 15 billion kilowatt hour nuclear power generators will be finished by 2013. Nuclear plants take time to build but plants are steadily coming online around the world. Hybrid Cars Blog --plug-in hybrids. The Hybrid Car Blog takes issue with BMW's prognostication. Mr. Panke says that hybrid car sales will never rise above 1%-2% of the total market. What poor vision? My belief is that the hybrid becomes more and more electric as each model adds more electric components. My local paper, Winston-Salem Journal, posted an article today that suggest the market share will rise to 3.5% in 7 years. I suspect that level is exceeded. The environmentalist who have been willing to buy for the benefit of clean air while knowing that the technology has not made economic sense in the short run are to be congratulated. Now that production is scaling up, the cost per unit will come down. The cost of semiconductor chips, the drivers of many of the electric components continue to decline. The days of the drive shaft are numbered. Production of drive shafts will continue for many years but eventually economics will win. The cost of grid electricity is less than the cost of the internal combustion engine. It is only a matter of time until grid electricity is charging car batteries at night. The supplemental engine will be the internal combustion gasoline engine for quite some time but eventually a cost competitive fuel cell will drive the electric motors, fans, brakes and other components. The hybrid will stop being a hybrid when it is all electric. The wagon works companies generally did not survive the change over to the automobile. Car companies that do not adopt the new technology have little chance. The change-over will not be fun for parts companies either. Can the maker of a mechanical, belt driven water pump convert to mass produced standardized electric pumps? We live in exciting times. As an investor, can you find the best way to play the "new economy"? Kudlow and Company now report that NWAC has filed but with $1.7 Billion cash on hand. The idea seems to be that the company hopes to go through bankruptcy without DIP financing. This raises the possibility that share holders will not lose all. The stock is trading as if there is still equity for shareholders; but a risky situation. I will study the situation late tonight. A second report says that NWAC has also filed for bankruptcy. A report just 2 or 3 minutes earlier said the company has not declared. As reported ad nausea, DAL declared bankruptcy today. This action reminds me of 1982 when American Motors, Ford, GM and Chrysler were all in trouble. (I lost money on AMO when it was taken over by Chrysler and then Chrysler was on the brink of bankruptcy). When the bottom was finally made, the stocks did very well for many years thereafter. Chrysler doubled in just a few days and it multiplied its value many times over the next 10 years or so. If you own DAL, it does not make sense to continue to hold the stock. Existing shareholders will probably receive no ownership benefits. Bond holders may get only pennies on the dollar. Employees will see their wages and pensions slashed if not their jobs. DAL will cut its cost during bankruptcy. It will not likely be liquidated. The company coming out of bankruptcy will probably service fewer routes with fewer plans than the current company. Other carriers will pick up the traffic lost. Other carriers, in particular NWAC, also need to cut costs. For now, NWAC, has put off bankruptcy. Pilots and other employees are considering demands to cut cost. Late in the day, NWAC, was up sharply on the hope that the company will avoid bankruptcy. CAL and AMR are two of the legacy carriers to have successfully cut costs filing for bankruptcy. NWAC, is currently in a similar position to the AMR situation about 2 years ago. Ironically, the legacy carriers have been having banner years. Business has been outstanding. However, the extraordinary fuel costs have cut DAL's cash to the bone. One of my family members owned DAL. She sold it this morning and put this speculative money into NWAC. She is rolling the dice. Only the young, young at heart or risk takers should be buying shares of NWAC, . Serious investors, should certainly consider the probability that the strong carriers such as CAL and AMR will benefit in the long-run from the DAL filing. Check Out an article in Reuters by Christopher Plumb which agrees with my thoughts on the possible benefits. CAUTION: I write for my own amusement; I do not make recommendations to buy or sell securities. For some years, futurist have discussed the conversion of the car from the internal combustion engine to the hydrogen fuel cell. The conversion, if it happens, is years away. However, Peter W. Huber and Mark P. Mills are on the money. 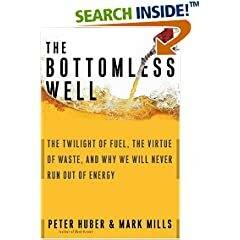 This morning I finished re-reading their book, The Bottomless Well. The book is absolutely fascinating and illuminating. I especially enjoyed learning how "new" electric cars are about to take over. The authors call the new cars silicon cars because they have so many semiconductor chips installed. I prefer new electric because the point of the car is to dramatically reduce costs through the use of electricity versus the use of gasoline; and because they are far more powerful than the "old" electric cars. We are all familiar with hybrid cars but the new electric car is more electric than hybrid. Yes, it still uses gasoline but only for the purpose of producing electricity. It does not have a drive shaft to power the wheels. The motor in the new electric car does not drive fan belts, transmissions, water pumps, fans or hardly anything else by mechanical means. The electric car has a high powered battery that can be plugged in for recharging. The electric car does not need its engine for trips of 5 to 7 miles. The electric car serves as a back-up or supplemental power generator; no more power outages. The electric car cuts cost but improves performance. New technology cuts the cost of nuclear fuel dramatically and nuclear power is clean and safe. Our nation can save billions by building nuclear power plants and using them to power "new electric" cars. This coming winter is going to be rough on those who use natural gas for heating fuel. It is going to be rough on those who must drive many miles. Today, I filled up for the first time since three days before Katrina. I drove down to the fumes and then set a new personal record when I purchased 19.6 gallons of gas for $54.86. Before Katrina I purchased 18.7 gallons for $48.23 which was a record at the time. By waiting, I did not purchase at $3.19, 3.09 or $2.85. Today the price was $2.79. Certainly, I am one of many who have cut back on usage. Immediately after the storm, I wrote that the oil crisis is over. Prices have dropped but the correction has a long way to go. Again, the winter is going to be tough. However it is nice to know that the energy well truly is a bottomless well. The earth continues to grab and hang onto a little more of the suns energy every day. The United States is a carbon sink; we gain more carbons than we use. For more than 80 years, the US has been adding forests. During the years prior to 1910 our country lost 300 million acres of trees. In 1910, of the 306 million acres of cropland, 83 million acres were used to feed horses (oxen, mules, and other beast of burden). Today we use our resources far more efficiently than in the past. If governments and environmentalist would stay out of they way, there would be even more efficiency. We would not be wasting millions growing corn for fuel or wasting tons of concrete and steel for windmills. These activities cost American tax payers and are counter productive. In the past 20 years or so, the entire country has been taken on a tremendous detour because of arbitrary mileage regulations (CAFE). As a result, many of us drive trucks. Who knows how much further along we would be if environmentalist had not gotten in the way. The market is smarter than you or me. It is smarter than all the politicians and bureaucrats. In the next several years, you will be surprised at the pace at which car components are converted from mechanical systems to electrical systems. The savings will be huge. Very substantial investments will be made to convert gas to electric as soon as it is clear that low cost nuclear electricity is going to be available. This country may never need to build another oil refinery. We need to continue to drill for oil to replace depleted supplies but since most oil is used in transportation, the new electric cars will reduce the relative need for oil. The ultra clean hydrogen cell if perfected could easily replace the gasoline generator on the new electric car. This week,Soultek quoted a European Auto Correspondent who wrote, "Record fuel costs pushed hybrid cars to centre stage at the world's biggest car show this week...", while noting that GM was "one of the seemingly few companies at the Frankfurt show not to trumpet a new hybrid offering or highlight its plans to make one." It is particularly ironic that GM told the European autowriter that the U.S. government made a mistake by giving hybrids favored treatment, rather than setting environmental standards to let the market decide how to meet them." Soultek.com devotes an entire website to the hybrid car. GM should join the band wagon before it pulls out of town. Hybrids are going to be the next revolution. 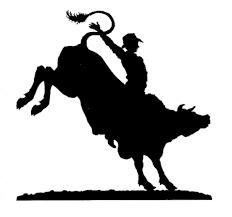 SENTIMENT IS VERY NEGATIVE; SENTIMENT IS NEGATIVE AT MARKET BOTTOMS; STOCKS ARE CHEAP RELATIVE TO BONDS; THE EFFECTS OF HIGH FUEL COSTS ARE SLOWING THE ECONOMY; BONDS MAY INCREASE IN VALUE IF THE ECONOMY SLOWS; STOCKS ARE LIKELY TO INCREASE IN VALUE IN THE FACE OF STABLE OR LOWER BOND RATES; BUY THE BULL! S & P 500 Value : $94,120. Treasury Bond Value : $89,173. This week we added Tomkins (TKS) to our individual stock portfolio. Tompkins is a world leader in the automotive and energy sector. Check out Kupskey's research on this international company. Stock of the Week Homeruns include: Gamestop (GME) earning 81%; Diedrich Coffee (DDRX) returning 79% ; and US Gypsum (USG) 100%. Individual Stocks continue to outperform equal investments in the S & P 500 (2.93%)and the TLT Treasury Bond index (1.38%).